TEAMWORK - We depend on teamwork to multiply our successes by sharing information, operational support and accomplishments among business units and regions. 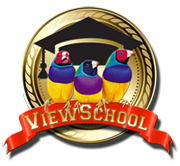 CORPORATE CITIZENSHIP - Our commitment to these core values enables ViewSonic to provide a substantial contribution to the community by conducting a business of integrity, providing rewarding jobs and contributing our fair share of taxes. Read more about our corporate culture on our Code of Conduct page and Social Media Policy. This is the gateway to the technology, tools and training for 21st century teaching. Get ready for VIP treatment. We’re here to support you every step of the way. From choosing the right technology for your unique needs, to helping you squeeze in training time so that you can maximize the learning benefits of using your ViewBoard and related technologies. Shipping Instructions: All orders are facilitated and shipped through our authorized resellers.